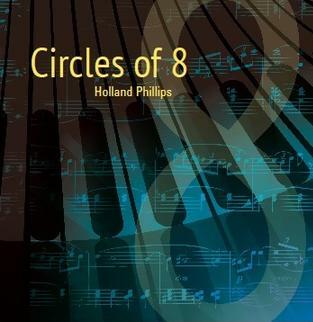 Holland Phillips is set to release his fifth album titled Circles of 8. I was curious to know more about the artist, his process and what the title of the recording referred to. I received some good information from Holland regarding that. Holland wrote all the songs and began by warming up on the piano at first which set the tone for the album. Usually he would have a set of ideas or tracks leftover from the previous release however this time he would start from scratch which makes this project even more compelling from where I sit. The correlation between the music creation and numbers is significant as well. Holland said this about the tracks: They came quickly, in sets of three over a period of about 8 weeks. It wasn’t long before I knew what the album would feel like, and what the title of it would be. As the album notes talk about, Circles of 8 is really an idea that revolves around the circles that we all experience, and that 8 is one of the fundamental vibrations of life as we know it. Interestingly enough, at the same time that the album was being formed, I was cataloging all the recordings that I’ve done over the years – the total including the eleven that make up this album ended up at 96 – which, ironically enough, is 12 multiples of 8. 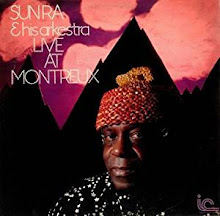 The production (with Ronnie Campbell), engineering (with Frank D.) synths, pianos and guitars where all completed by Holland along with the saxes by Paul Christensen. I certainly like to give credit where it is due with such an interesting and captivating recording. “Starting Over” is the perfect title to open the album considering all the processes he described. It is an ambient number that lets you relax and kind of just melt into the music like a big comfy chair. Then a different tone and atmosphere settles in with the following track “Night Tracks.” The gentle piano and tick tock rhythm of the synths sets the pace as each layer is added it gets more introspective and colorful. It is night when we all unwind (hopefully) and the world pauses to recharge their batteries to be able to face the next day’s challenges. Music like this does renew you. “Stephanie's Song” is like a combination of new age and the quiet storm as smooth jazz lines come from the sax and keyboards are interspersed for an effective combination of texture and musical paint if you will. The canvas of your mind clears and you begin to rewrite the story your own way and create a masterpiece of serenity and joy. The atmosphere provided washes away the day. I really appreciate the combination of jazz and new age fused together and not because they are two of my favorite genres but recognizing that they are close cousins, taking elements of the same foundation to build something special that you will not forget. I admire any artist that can take a blank canvas and create something so beautiful and that is exactly what Holland does on Circles of 8. If you have ever given any thought from whence we came about our past in ancient times, then there is a track for you to reflect upon that. “Strains of an Ancient Past” is a slow burner that induces a contemplative state and in the same instance creates wonder and the sensations of floating and going back to another place in time when things were much simpler and made more sense. It is ironic in a sense that technology created the music that brings you back so far. There can be a lot to think about while listening, dependent on your state of mind however this music is meant to heal and relax. The harmonics are mesmerizing and allow all of that to happen with ease. 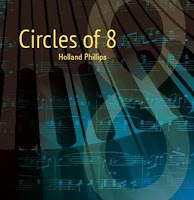 Circles of 8 is full of compositions that are both inspirational and spiritual, which is what I find in most music if I am willing to really listen and absorb it. It was easy to accomplish that with Holland’s music.